The fourth title in the innovative New Mexico Artist Series, 3-D art/techné spotlights once again the extraordinary art and artistic life in New Mexico today. 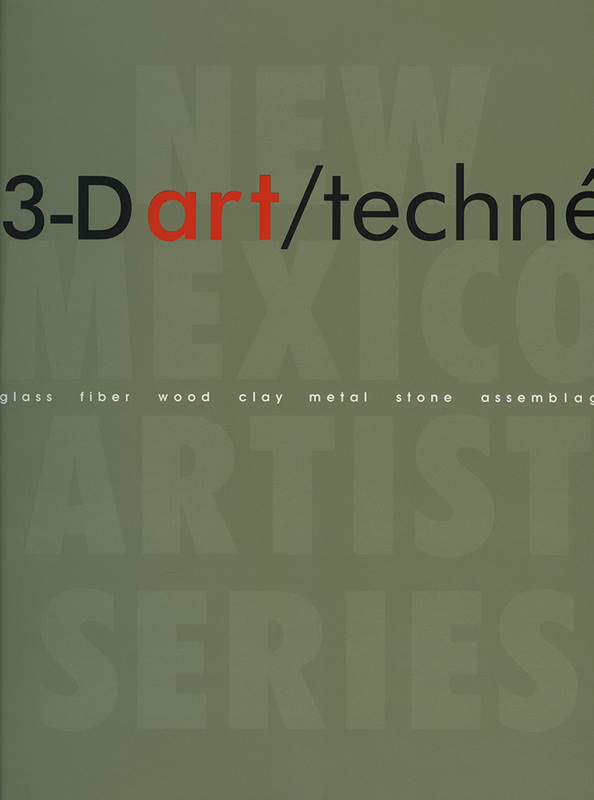 3-D art/techné explores the work of more than thirty artists based in New Mexico who use traditional skills in non-traditional ways or who use non-traditional materials in traditional ways. Recognizing that many people who work this way produce three-dimensional work, the book will focus on those who produce free-standing objects and those who may work on the wall but project out from it as well. Ranging from metal, wood, stone, clay and fiber to assemblage and glass, these works of art pose post-modern questions about modernist considerations of form and function. Among those featured are Tom Waldron, Barbara Zusman, Gail Rieke, and Tracy Krumm. Aline Chipman Brandauer is currently an independent art historian and educator. She has lectured, written and taught on 20th and 21st century art on three continents. Educated at Columbia University and the City University of New York, she was the Curator of Contemporary Art, and subsequently Assistant Director for Long-Range Planning at the Museum of Fine Arts in Santa Fe from 1996–2003. Previous museum experience includes the Guggenheim Museum and the Brooklyn Museum of Art. Jon Carver, visual artist, writer, educator and curator, has exhibited internationally, published over 500 art reviews, numerous artists' monographs, and a book on New Mexican sculptors.